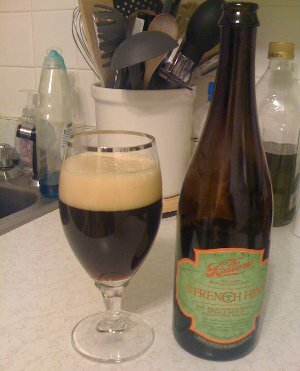 Beer Nerd Details: 6.5% ABV bottled (750 ml, caged and corked bottle). Drank from a goblet. 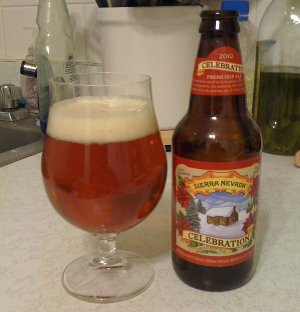 I think this marks the last new Holiday beer I'll have this year. 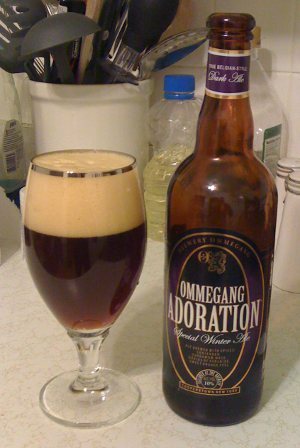 I'll still got a bottle of Ommegang Adoration and Affligem Noël, one of which I'll bring to share with my family, the other of which I'll hog to myself. And there's also the super secret New Year's ale coming sometime next week as well. 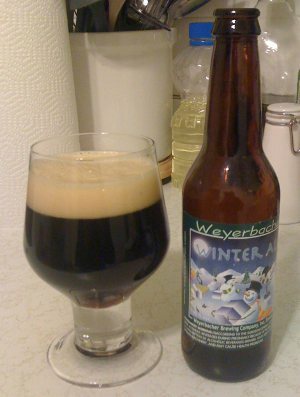 Other than that, I've been stocking up on some Stouts and other dark beers, which are at least wintery, if not exactly holiday themed. I'll also probably put an order in for some brewing supplies next week, but now I'm getting ahead of myself. Beer Nerd Details: 12% ABV bottled (250 ml). Drank from a tulip glass. Between beers, I cleansed my palate with a single cashew. 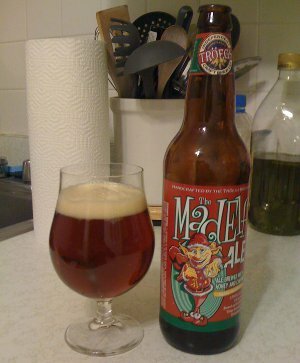 Beer Nerd Details: 5.6% ABV bottled (12 oz). Drank from a goblet. 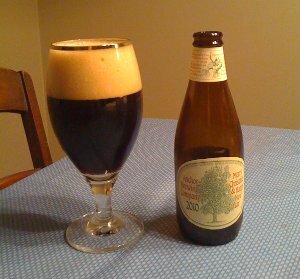 Well, I've nearly exhausted my supply of holiday seasonals, but look for a few more posts before the holiday, and apparently one New Years beer as well (I'm excited for that one, which I totally lucked into without even realizing it - keeping this one a secret for now). Yesterday, I made the trek into Philly to see Rare Exports: A Christmas Tale, a Finnish movie that might be the world's greatest homicidal Santa movie (not a highly populated subgenre, to be sure - when your chief competition is Silent Night, Deadly Night, the bar's set pretty low). Anyway, the film let out around 5 pm, and rather than battle the traffic, I headed over to Eulogy for some dinner, and, of course, good beer. After perusing the on-tap list, I noticed something labeled only as "Samichlaus". Say, that sounds kinda like "Santa Claus"! 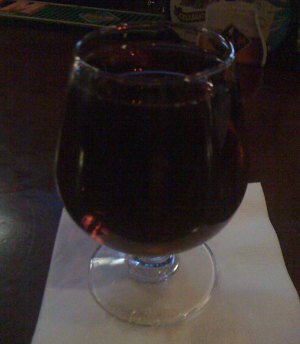 The bartender says that it's an "intense" Doppelbock, very high in alcohol (she also says it's kinda like a Barleywine). I say: Pour me a glass! Ordered some Belgian style mussels and sipped this beer throughout. Beer Nerd Details: 14% ABV on tap. Drank from a Snifter glass. Last Saturday's double feature was the unlikely pairing of The Kids Are All Right (a family drama featuring two moms, their half-sibling children, and the sperm donor father!) and Silent Night, Bloody Night (an escaped serial killer dredges up a past tragedy on Christmas Eve). Sometimes when I have a disparate pair of films like this, I'll find some unexpected similarities, but that's not really the case here, except perhaps that I think both films are a bit overrated (though both are still good, in their own way). 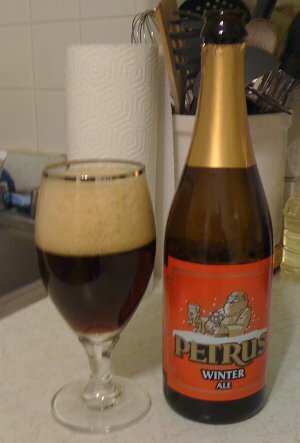 Beer Nerd Details: 8.5% ABV bottled (330 ml). Drank from a goblet. Beer Nerd Details: 11% ABV bottled (22 oz bomber). Drank from a tulip glass. I'm getting close to the end of my Holiday brews, but I think I've got enough to tide me over until Christmas. So far, so good, even if there've been a few missteps. 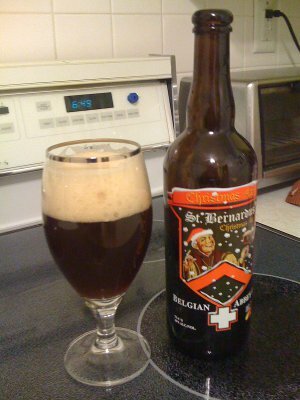 Affligem Noël: My contribution and one of my favorites of the night. Much like their dubbel, but a little spicier. 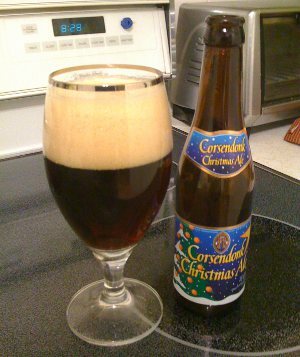 Great beer that I plan to revisit in more detail this holiday season (I have another bottle on my shelf). 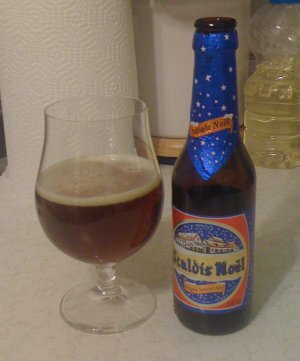 Delirium Noël: Raisiny and sweet, another popular beer and something I want to revisit in detail. Ridgeway Reindeer's Revolt - Not as dark as the Delirium, but it shares that certain raisin smell and flavor, a little syrupy sweet too. Not bad. Ridgeway Reindeer Droppings - Doesn't sound appetizing, but a solid light flavored beer (technically an English Pale Ale). Not a favorite, but a decent session beer. 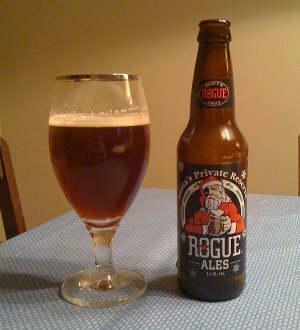 Ridgeway Warm Welcome: A reasonable brown ale, I think this one was overshadowed by some of the above beers. Ridgeway Lump of Coal Stout: I suppose this is a reasonable stout, but there's nothing special about it and there's no holiday style to it either. Not offensively bad or anything, but not especially noteworthy either. New Belgium Fat Tire Amber Ale - Nothing really holiday about this, but a solid session beer (I assume that this is someone's Yuengling Lager style beer). Unibroue La Fin Du Monde - A first time beer club attendee brought this. Hard to fault him for that, as I love this beer. Well, that about covers it! Again, not an especially rigorous tasting session, with the palate cleansed by a burger and fries, but still, as always, a really good time. After beer club, a few of us hit up the local beer distributer. 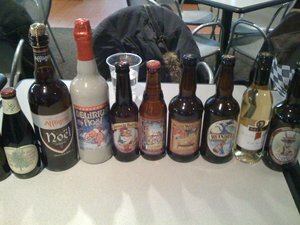 It being PA, we could only buy a full case of stuff, but someone became enamored with Anchor's Christmas ale and bought a case of that, and four of us went in on a St. Bernardus variety pack (each of us got 6 St Bernardus beers, which is pretty awesome). As usual, I'm already looking forward to next month.